When this show was first announced, I knew I had to go. 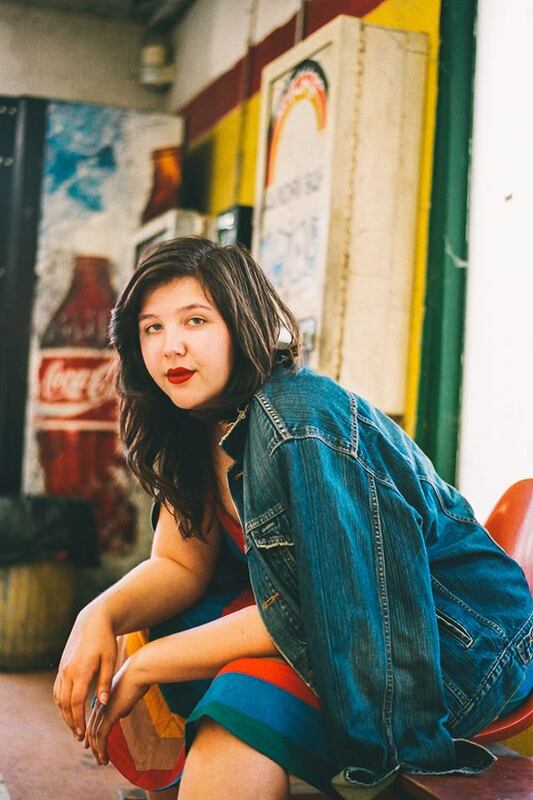 I only knew Lucy Dacus from her song "Night Shift," but based on that one song I was completely obsessed. Plus, And the Kids were opening, and I haven't gotten around to see them for a couple of years. Turns out, it was one of my better decisions I've made in years. And the Kids are by far one of the more fun live shows I've seen in years. When they took the stage, I was more than a little confused. Bass player Taliana Katz was missing and replaced by a bearded man. This substitution was never explained during the show, and considering Megan Miller (percussion, synthesizers) has been missing from American live shows due to visa issues, I was a bit apprehensive. Turns out 2/3 (or 1/2) And the Kids is still fantastic. Hannah Mohan always appears to be having the time of her life with every show, and made up for their missing member. Their blend of dance friendly indie rock is always an excellent choice for a night of entertainment. Despite having an opening slot, And the Kids were obviously a huge draw for the show with a majority of the crowd quite familiar with their material, especially songs like "Glory Glory" and "Cats Are Born." Even their two brand new songs were quite well received. Lucy Dacus was a bit of a slow build. While And the Kids are dynamic and energetic performers, Dacus is more of a stand still and play and sing performer. What she lacked in energy she more than made up for in sheer talent and amazing songs. Live her band has more of a guitar heavy sound than on her albums, while her voice is just as laid back and captivating. What could have been two sounds butting against each other instead crafted a true sonic delight. Much like her songs build from quiet, singer/songwriter fare, her live show slowly built into celebratory anthems. She focused mainly on songs from the recently released Historian, playing only three songs from 2016's No Burden, which included the beyond great "I Don't Wanna Be Funny Anymore." She closed the main set with the previously mentioned "Night Shift," which is just a revelation live. I think "In five years I hope these songs feel like covers/Dedicated to new lovers" might be my favorite line of the year. And then there was the crowd. Maybe it because of the L7 show across the river at The Paradise, but the audience skewed young. But that's what helped make this show so amazing. Dacus's audience ADORES her. They sang along with every word for an album that's been out just over a month. There was virtually no chit chat during her performance. For all us old people complaining about kids and their phones, there was barely a cell phone pulled out while she was playing. (Sure, a picture here or there, but no watching through their screen or checking Instagram, Tindr, etc). In fact, the only person using their cell phone was one of my fellow Creepy Old Guys. I honestly haven't seen such an adoring and dedicated audience since Weezer or Tori Amos shows in the 90's. Their enthusiasm was infectious, and for once, I was glad to be one of the few old guys in the room.